The IPO includes sale of 7.7 crore shares or 24% in the investment banking arm of private sector lender. Bank of America Merrill Lynch, Citigroup, CLSA, Edelweiss, IIFL and SBI Capital Markets are managing the ICICI Securities IPO. 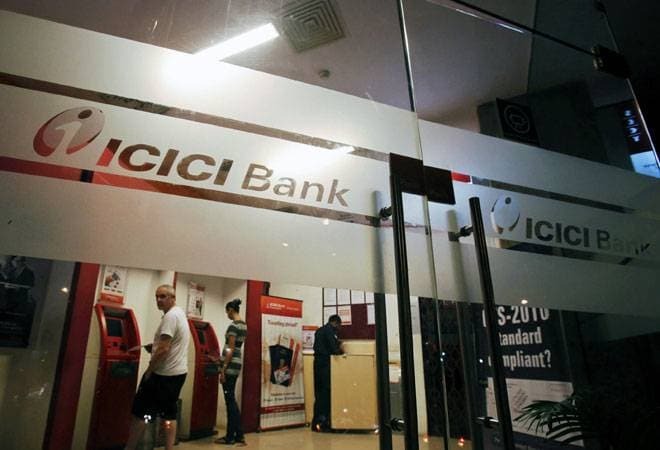 The Rs 4017-crore initial public offer (IPO) of ICICI Securities, the brokerage and merchant banking arm of private sector lender ICICI Bank opens today. The offer will close on March 26. The IPO price band has been set at Rs 519 to Rs 520 per share. The minimum bid lot for the offer is 28 equity shares and in multiples of 28 equity shares thereafter. The IPO includes sale of 7.7 crore shares or 24% in the investment banking arm of private sector lender. Bank of America Merrill Lynch, Citigroup, CLSA, Edelweiss, IIFL and SBI Capital Markets are managing the ICICI Securities IPO. We look at what brokerages are saying about the issue. At the price band of Rs 519 -520, the issue is priced at 34.8 times its TTM -Dec -17 earnings and 24.8 times its book value as on Dec 17. ICICI Securities has delivered exceptional sales and PAT CAGR of 20% and 56% over the past 3 years with return on equity ratios in excess of 30% for each year since FY13 and far superior compared to listed peers. However, as the issue is priced at a premium compared to its peers, we believe it limits the scope of gains in the short term and hence advise investors with a long-term investment horizon to SUBSCRIBE to the issue. "ICICI Securities is one of the leading broking houses with highly integrated technology based platform, ICICIdirect. They offer diversified range of financial products and services and have forte in retail broking services, which have ample growth opportunities with increasing investments from the households. At an upper price band of Rs 520, the asking price of ICICI Securities' stock is at a P/E of 31.55 times on FY18E earnings per share of Rs 16.48 making it fully valued. We recommend SUBSCRIBE to the issue with a long-term perspective," said the brokerage house's note. At the higher end of the issue price of Rs 520 per share, the stock is being offered at 31.5 times nine months FY18 annualized earnings. In the past two years, the broking industry in India has witnessed growth in terms of increase in new accounts, higher income from distribution business and sharp rise in primary market transactions. Activities in the capital markets business will remain a direct beneficiary of an improving macro environment, shift from physical assets to financial assets and stable government and its policies. Given ICICI Securities presence across the different segment and its customer base helps the company to explore new opportunities. We recommend Subscribe to the issue. Over the years, the company has been working on diversifying its revenue streams to reduce volatility in revenues associated with their brokerage business by increasing the contribution from distribution and investment banking businesses. As a result, the contribution of brokerage business to overall revenue has decreased from 70.3% in fiscal 2013 to 62.6% in fiscal 2017. Within the distribution business, the company will continue to offer new products and services to reduce reliance on particular products. ICICI Securities has reported a CAGR of 18.8% and 47.4% on revenue and net profit fronts respectively over FY2013-2017. On its upper band of price of Rs 520, the issue is priced at price to equity ratio of 31.5 times of its nine month FY2018 earnings per share of Rs 12.4. We believe IPO is fairly valued giving little upside to investor. Hence, we recommend to avoid the IPO. "ICICI Securities has an EPS of 10.51 and book value of 14.99 for FY17 earnings and at the upper end of the price band the company would trade at P/E of 49.47x and price to book value of 34.69. Considering the past growth rate and huge untapped potential, one may subscribe to the IPO for long term gains," said its IPO note.